← Why Smoothies Are Good For You! 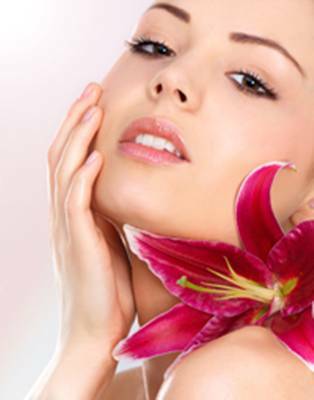 Most people are aware that putting lotions and potions on their skin can help it to look clean, healthy and radiant. But did you know what you put into your body is equally important for glowing skin? Smoothies have taken the world by storm in recent years and offer a great way of keeping your skin looking bright and healthy and feeling soft and smooth. How can smoothies help my skin? Smoothies are packed full of vitamins, minerals and anti-oxidants, which are incredibly beneficial for your skin. Essential fatty acids found in olive oil, oily fish, nuts and avocadoes are brilliant for reducing swelling and puffiness, while antioxidants are great for keeping wrinkles and fine lines at bay. Many ingredients commonly found in smoothies are also alkaline and enable the skin to release toxins. One of the most common signs of a heavy night or generally feeling worn out is under eye circles and dark patches. According to clinical nutritionist and self-confessed foodie, Kimberly Snyder, eating smoothies packed with vegetables that are high in natural sodium, including curly kale, spinach and celery, can help to banish dark circles, and adding radishes to your salad or popping them in your smoothie maker can add a noticeable glow to your complexion. 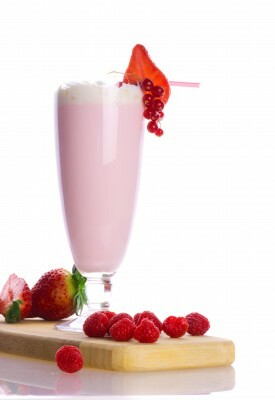 Fruit smoothies can help you to improve your complexion by providing your skin with the essential nutrition it needs! Celebrity dietician and author, Ashley Koff, recommends a smoothie of hemp protein, organic blueberries, coconut water, dandelion greens, raw cacao powder and avocado for clear, bright skin. The blueberries, cacao and avocado are packed with antioxidants, the coconut water is full of potassium which keeps skin cells hydrated, and the dandelion greens are a natural detox for both the skin and the liver. If you’re looking for a fruity recipe the mango yoghurt smoothie may be the ideal smoothie for you. Mango is full of vitamins, including vitamins B6, C and E and the added fish oil boosts the nutrient count by adding Omega-3 oils, which help to prevent acne and skin problems and increase the radiance of the skin. The recipe contains frozen mango chunks, orange juice, low-fat organic yoghurt, fish oil and organic mint and it helps to brighten the skin by regulating oil production and smoothing the texture of the skin. If you have puffy or reddened skin, look no further than chef, Kelly Boyer’s, banana, almond and flaxseed oil smoothie, which is designed to soothe inflammation and redness. The smoothie is packed full of antioxidants, potassium, calcium and fibre and it is easy to make. Simply add ice cubes and apple juice to banana, 2 tablespoons of raw almond butter and 1 tablespoon of flaxseed oil. If you’ve had a heavy night on the town and your skin is suffering, the very berry smoothie is the perfect pick me up. This fruity smoothie is packed full of anti-oxidants to brighten your skin and banish those toxins. The smoothie tastes amazing and contains a range of frozen berries, including strawberries, blueberries, raspberries, frozen banana, sliced kale leaves and fish oil, which helps to stop acne and problems associated with oil production. More Cleansing Smoothie Recipes and Information Here! Essentially you can add any fruit or vegetable to a smoothie and it will benefit your health. If you are worried about waste try using frozen fruits. Try to include a range of fruits and vegetables so that you get a host of different vitamins and minerals and have fun experimenting! You may never have thought that you could improve your complexion by eating well, but it really is true. Fruit and vegetable smoothies are an easy, tasty and healthy way of providing your body with the nutrients it needs. Smoothies help to reduce your risk of a range of health conditions, as well as enhancing the appearance of your skin, hair and nails so stock up on fruit and vegetables and get whizzing; your skin will soon be glowing and beautiful!